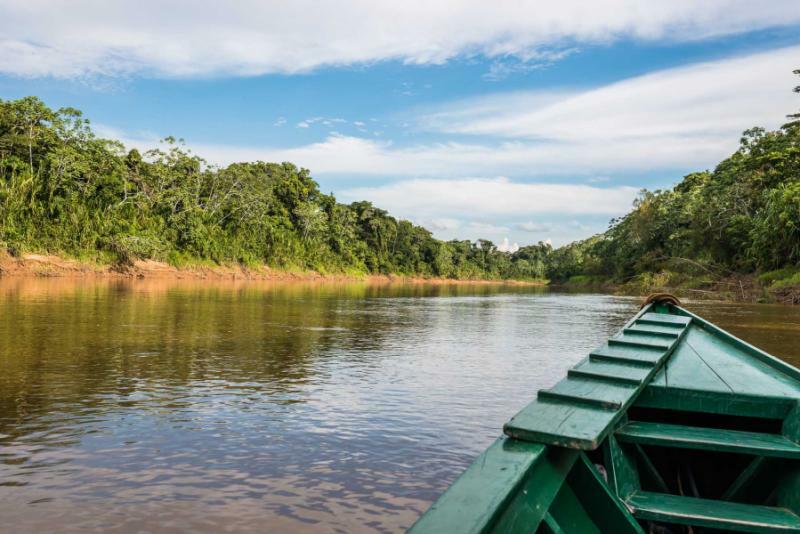 Plunge into one of the most remote corners of South America during your Peru tour traveling the Tambopata River. Your customizable rafting excursion takes you from the Andean Altiplano to the Amazon Basin in search of wildlife and thrilling whitewater. 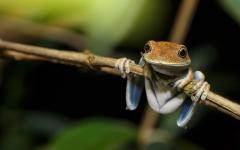 Wander the cloud forest between the high altitude plains and lowland rainforest. 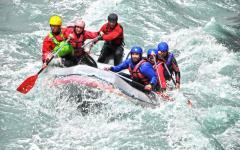 Paddle through enticing class IV rapids shaping the narrowing riverbanks. 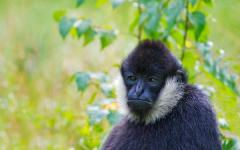 Search for rare macaws, endangered jaguars, and hidden monkeys. 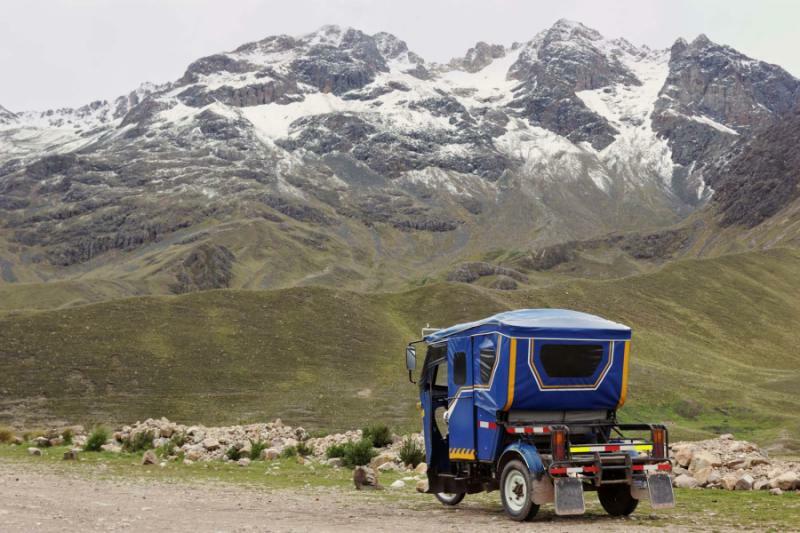 Whether relaxing on the water or speeding alongside fierce boulders, you will have the ride of your life in the wilderness and wilds of your Peru tour. This unique jungle expedition takes you on a 9-day immersive experience and allows you to indulge in the range of whitewater rapids on the Tambopata River. Along the way, you will also have ample opportunity to view the inspiring scenery and the active wildlife including more than 530 species of birds and 13 types of monkeys. The journey begins with your arrival at Inca Manco Cápac International Airport where your private transfer greets you at customs and eagerly leads you away from the city and to the altiplano. You take in the views of the grazing vicunas as you travel over the mountain pass to descend into the Amazon Basin. The cloud forests of Peru offer a captivating ecosystem between the high altitude plain and lowland rainforest, with lush trees feeding off the moisture of the passing mist. 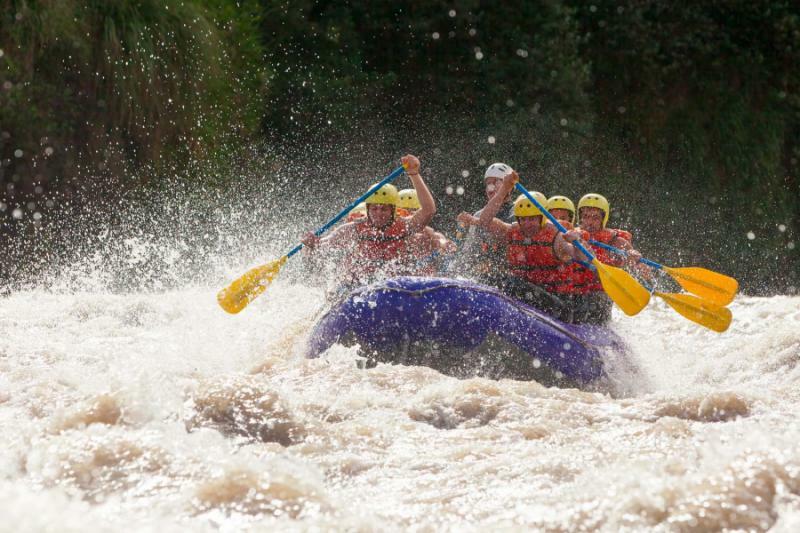 You disembark from the village of Curva Alegre to begin your whitewater excursion spending five full days floating down the river and experiencing the variety of undulations, from placid water to class IV rapids. 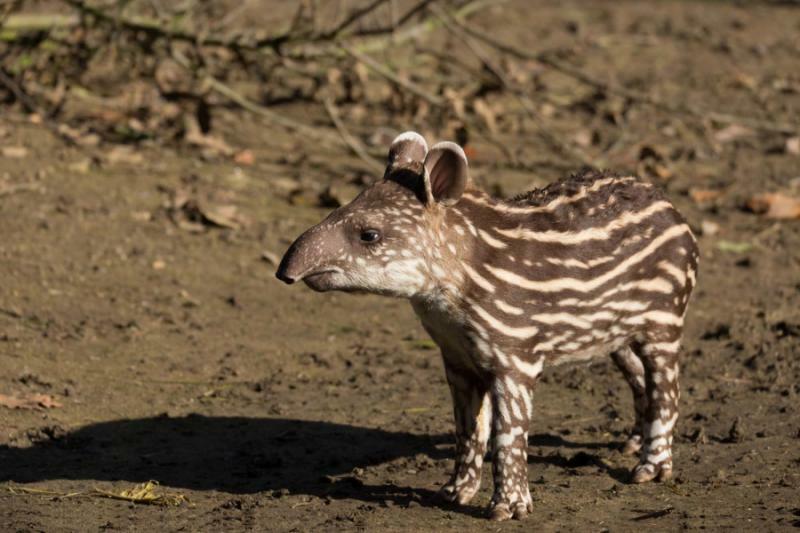 During the quieter moments of your adventure, you partake in a jungle safari, scouring the landscape and river’s edge for jaguars, ocelots, capybaras, tapirs, and caimans. The marvelous landscape encourages your inquisitive mind and adventurous spirit, as your guide leads you deeper into the tropical rainforest far away from Peruvian civilization. 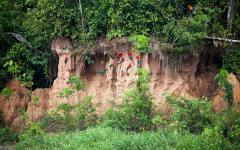 Upon reaching the famous clay lick, you spend time witnessing the distinctive colors and unique socialization of the macaws and parrots feeding on the eroding soil. You will then have the chance to relax in the comforts of Puerto Maldonado, which glows with the facades of a decadent past, before flying to Cusco for your flight home. 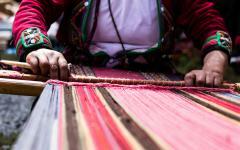 Consider browsing our tour of Peru page for more inspiration on designing your own Peru vacation. 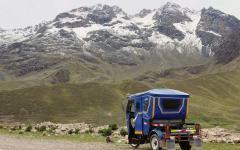 Your flight descends onto the Andean Highlands and the city of Juliaca. From the window, you can see the urban design spreading across the plateau and fading into the distance where Peruvian villages and popular Sunday markets thrive. Spanish Colonial churches punctuate the skyline around Plaza Bolognesi, and the aroma of grilled corn and meat roasting over an open flame drifts through the streets. Your flight lands at Inca Manco Cápac International Airport, where your private transfer greets you upon your early arrival. At over 12,500 feet above sea level, the thinner atmosphere here provides an interesting introduction to the Altiplano, the high-altitude plain of the Andes. 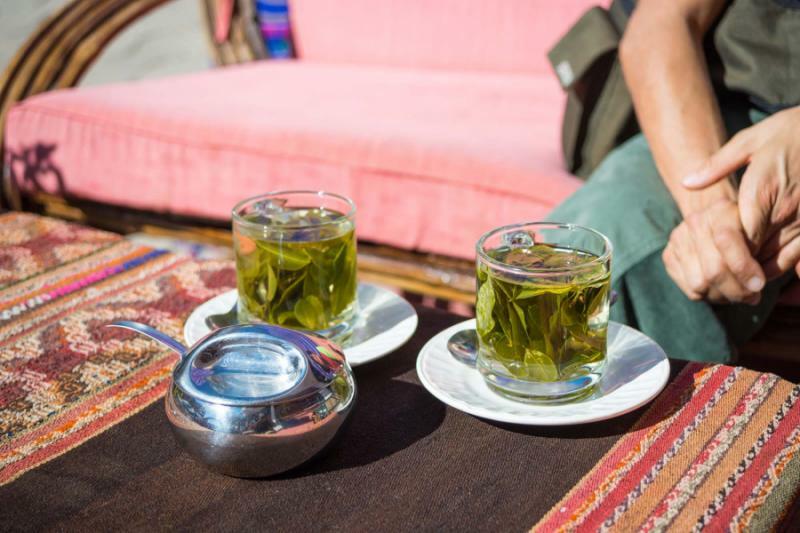 Your guide offers you the first taste of Peru with a sample of the coca leaves the Quechua people have used for more than two millennia to help with the altitude. You chew the leaves and find a slightly bitter, but pleasant flavor and learn that you can also use the leaves to brew a popular, soothing tea. Your scenic drive takes you out of Juliaca, passing the Andean pasture where herds of alpaca graze on farmland. 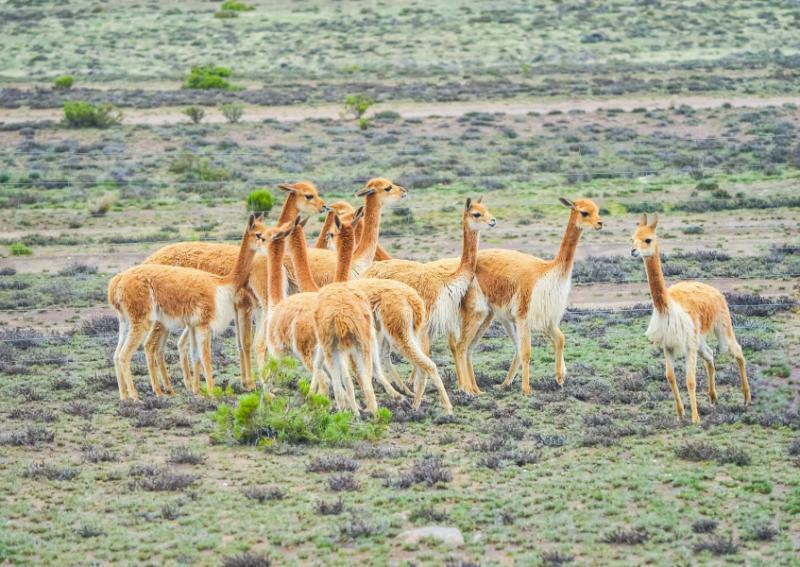 You ascend the mountain pass at nearly 15,000 feet above sea level, stopping along the way to view the vicunas in their natural habitat. 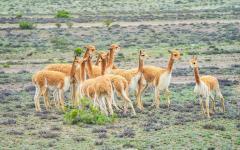 The wild vicuna is a relative of the llama, and they live in groups consisting of a single male and up to 50 females. The territorial male protects his herd, keeping a keen eye on you as you return to the car to continue your journey down the mountain pass. The cold air and thin atmosphere bites at your cheeks. The rugged landscape of the high altitude plain reminds you of the craggy landscape of another planet, filled with loose rocks and sporadic mounds. As you descend into the rainforest basin, the trees return as a cloud forest, offering unique biodiversity and lush greenery contrasting the Andean Highlands, and marking your arrival into the Tambopata National Reserve. 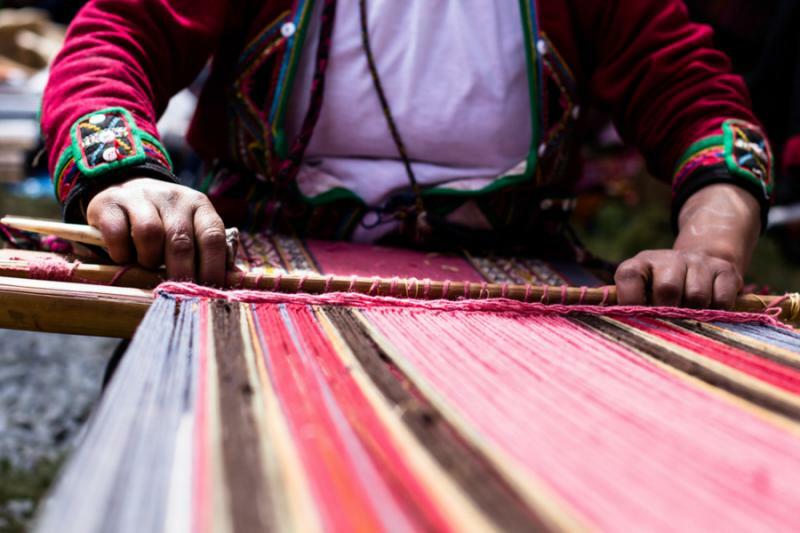 Peru is a region unlike any other; learn more by seeing how our partner Peru tour operators can personalize the experience for you. 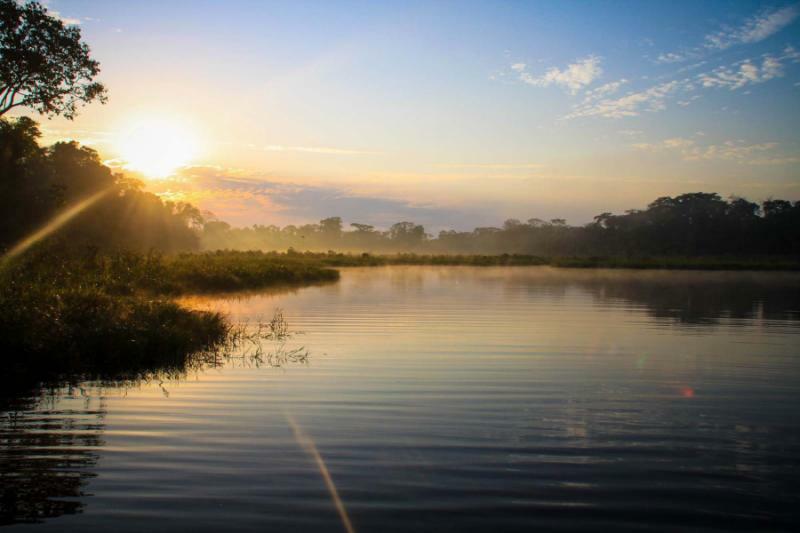 Tambopata National Reserve consists of more than 1,000 square miles of protected landscape and encompasses a portion of the Peruvian Amazon Basin. Your guide provides a bit of information during breakfast as you sip on a refreshing cup of coffee and nibble on a delicious, juicy pineapple. After the meal, you continue your journey to the edges of the Tambopata River while watching the cloud forest for signs of wildlife. The unique ecosystem gathers water from the moisture of passing clouds, and moss grows on the soil and over the trees and collects the daily dew before it dissipates. This symbiotic relationship provides the ample wildlife with secluded grounds in which to nest, rest, and hunt. You reach the permit office at Putina Punku, located at an altitude of over 6,200 feet above sea level. You enter the grounds and can hear the water rushing along the riverbanks, and when you arrive at the village of Curva Alegre, the aroma of boiled potatoes and cherimoya fills the air. 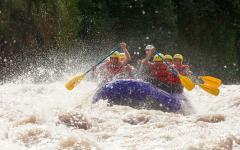 As the raft inflates, you dip your fingers into the water to feel the cold temperature and river’s endless rush. You listen to the safety briefing, put on your helmet and life vest, and step onto the raft to begin your journey down into the Amazon Rainforest. The soft sounds of clucking chickens and scent of grilling meats in the village fade as they are overtaken by the sounds of the water and unfettered aroma of the surrounding trees. You wake early to the tranquil sounds of the river brushing against the sandy beach. The scent of pancakes and strawberry jam emanates from the warm fire, and you listen to the surrounding forest coming to life in the cool morning air. Your guide points out the swift chirp of a yellow-rumped antwren that grows faster and faster until stopping. There are less than 11,000 of the birds left in the world, with many nesting around the tropical Amazon of Peru, providing an exceptional soundtrack to your first full day on the water. You return to the raft and enjoy floating down the serene river. The banks wind between small, steep slopes; emerald grasses; and thin, tall trees. 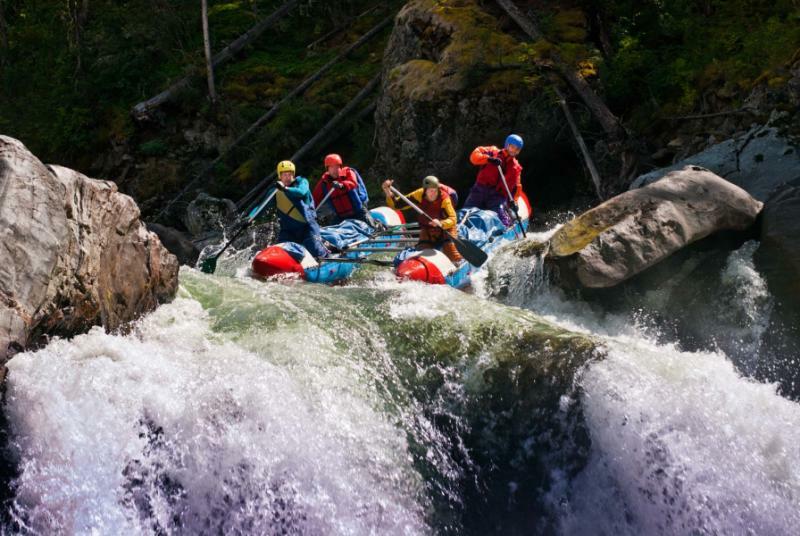 The water quickens, carrying the raft near class II rapids, and you grab your paddle and help the guide navigate the whitewater. The air is warm, and the water offers a refreshing respite from the growing tropical humidity. 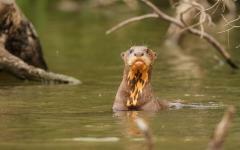 Your guide points to the edges of the water where a river otter is sliding into the soft current. 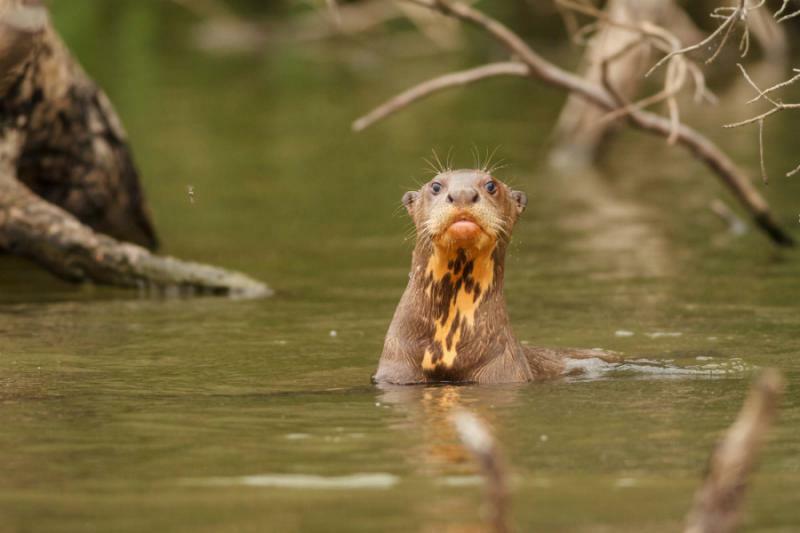 The freshwater otters can grow to nearly six feet long, and they hunt for fish, crabs, and snakes found in and around the river. 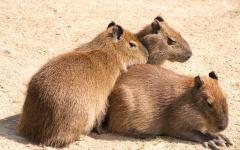 Farther downriver, your guide points into the trees where a group of capybaras sips at the edge of the water. 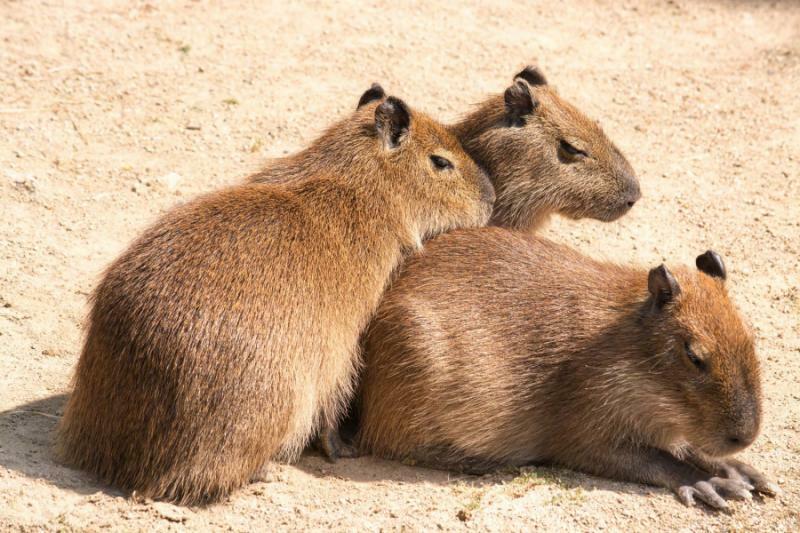 The capybara is the world’s largest rodent, growing to nearly four and a half feet long and two feet tall, resembling gigantic guinea pigs. 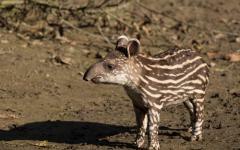 In the morning, you wake to the sound of a herd of peccaries sifting through the forest. These wild pigs grow to over four feet long and can weigh nearly 90 pounds. They search the underbrush for insects, seeds, roots, and fruits. After breakfast, you board the raft and continue down the river, edging closer into the Amazon Rainforest. 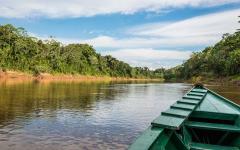 The Tambopata River travels 250 miles across southeastern Peru and into northwestern Bolivia. The scenery along the banks begins to change as the river narrows, increasing the character of the rapids. The banks act like a flume, causing the water to speed over the undulating boulders and rocks. You grab tight to your paddle and row with your guide, feeling the cool water splash onto your cheeks and hands as you navigate the class IV rapids. The sound of crashing water echoes against the bordering walls and your heart pounds with excitement long after the rapids end. 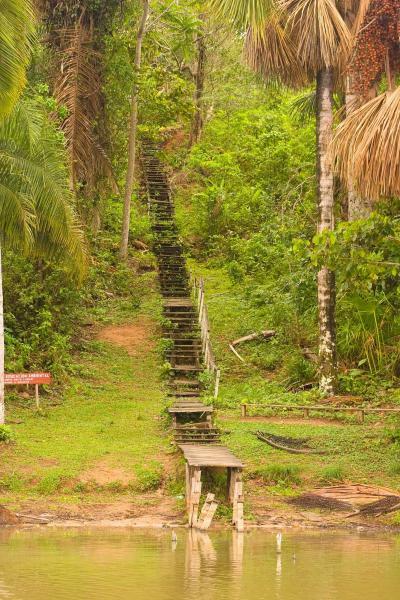 You put the paddle back on your lap and your guide points into the trees at a troop of grazing spider monkeys. 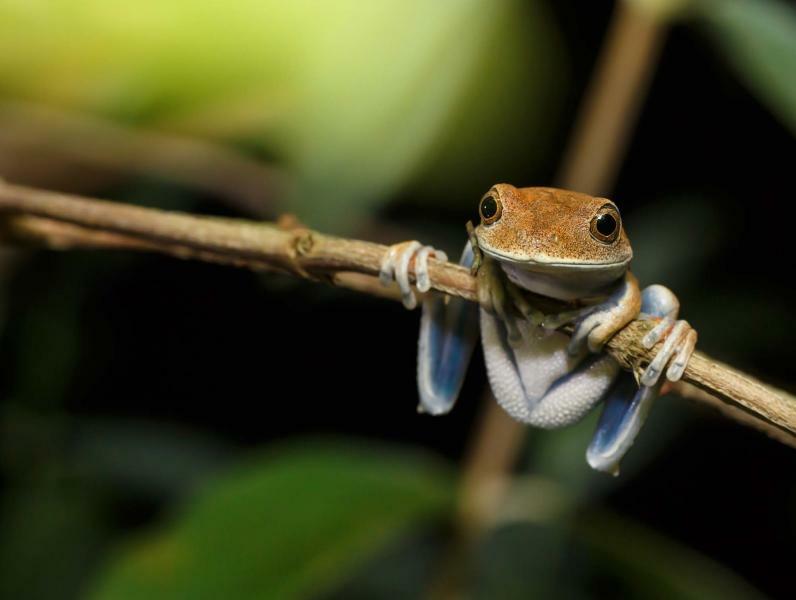 They grow up to 35 inches long and use their prehensile tail to help balance as they swing across branches or reach for berries and nuts at the far ends of the tree. The raft gently glides down the river in the soft morning light, and the tropical heat tells you how far you have traveled over the previous days. Brazil nut trees hide behind cedar and mahogany, and aguaje trees, known as the moriche palm, grow up to 115 feet tall and bear delectable fruit between December and June. Your guide offers you a sample of the chestnut colored fruit, which protects the interior yellow flesh and oval nut. Peruvians use the seeds to make palm wine and the overall fruit to cultivate palm oil. 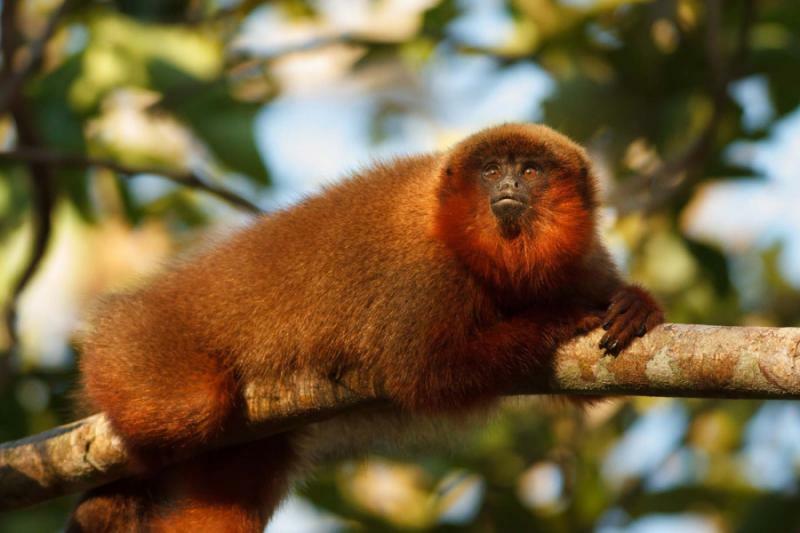 The cacophonous call of the red howler monkey spreads through the canopy with a guttural and deep yowl that can be heard up to three miles away. The monkeys can grow to nearly three feet long and they feed on ripe fruits, flowers, and termites. Their copper fur shimmers in the beams of light piercing the treetops, and you notice a mother carrying its baby wrapped around its belly. Your guide explains the baby must be less than a month old, as babies over 30 days of age spend the next year clinging to their mother’s back. As you continue to drift downriver, you spot a giant anteater scurrying into the underbrush. 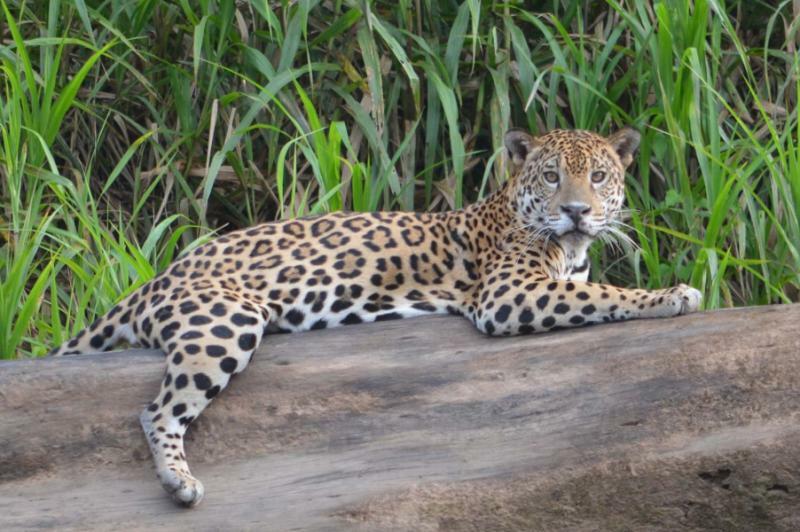 Tambopata Nature Reserve is home to 13 endangered species, including the harpy eagle, ocelot, and jaguar. Before returning to the raft after breakfast, your guide leads you into the rainforest terrain where he has heard whispers of a jaguar sighting. Your heart pounds with excitement and fear of the possibility of seeing the large, powerful wild cat in person. 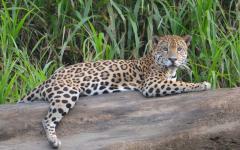 Jaguars can grow up to seven feet long and weigh 220 pounds, making them the largest cat species in the Americas. The jaguar is a capable swimmer and often rests near a water source where it can drink or hunt, so the chance of catching a glimpse of one is greater here on the river. You do not find the cat, but your guide points to fresh prints measuring nearly five inches wide, giving you an exciting image of how large the cat can grow. 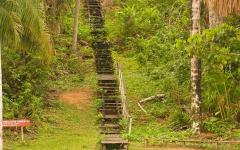 Once again, you board the raft and continue your journey deeper into the jungle terrain. 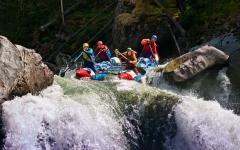 When the rapids appear, the whitewater splashes against the hull and sides of the raft. You paddle hard with the current and travel over the class III and class IV rapids populating the Tambopata River along the Amazon Basin. When the water is calm, you scour the trees and riverbanks in search of more wildlife, enjoying the intermittent meetings with the natural splendor of the rainforest. With over 900 different species of birds and more than 1,200 types of butterflies, floating quietly along the water offers a spectacular panorama of colors bursting from the landscape. You board your raft before dawn and listen to the returning sounds of the active jungle. 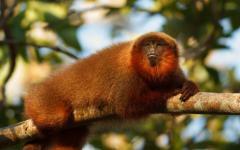 The howler monkeys call to one another in the trees, and spider monkeys swing between the branches. Your guide points to a nesting black-tailed trogon resting above the riverbank. He shines a light on the sleeping bird to show you the iridescent plumage of its red breast, the dark turquoise of its neck, and the black tail feather that dangles below the branch. The sunlight spreads over the canopy and shimmers across the emerald trees where a brown-throated sloth is camouflaged, shielding herself from predators. The female sloth can grow to over 30 inches long and has curved, three inch long claws that she uses to cling to the bark and to move about the trees. You inch closer to the Macaw clay lick, and your guide discovers the rare hoatzin which inhabits the riverside forests. The prehistoric-looking bird can plunge more than 30 feet into the water to protect its nest and socializes with up to 40 birds in a single flock. The blue on their face contrasts their maroon eyes and an orange tuft of spiked hair. You wake once again before dawn with your guide searching the riverbanks by your side. The more tranquil reaches of the Amazon are the perfect place for black caiman to cool in the water during the tropical heat of the day and linger on the shore in the quiet night. Your guide shines his flashlight over the shore and the water, searching for small beads of red light, the reflection of a caiman’s eyes. You return to the largest macaw clay lick in South America where 17 different parrot species flock daily. You quickly realize the benefit of your early start, as the birdlife at the clay lick is most active in the cool air of the early morning. 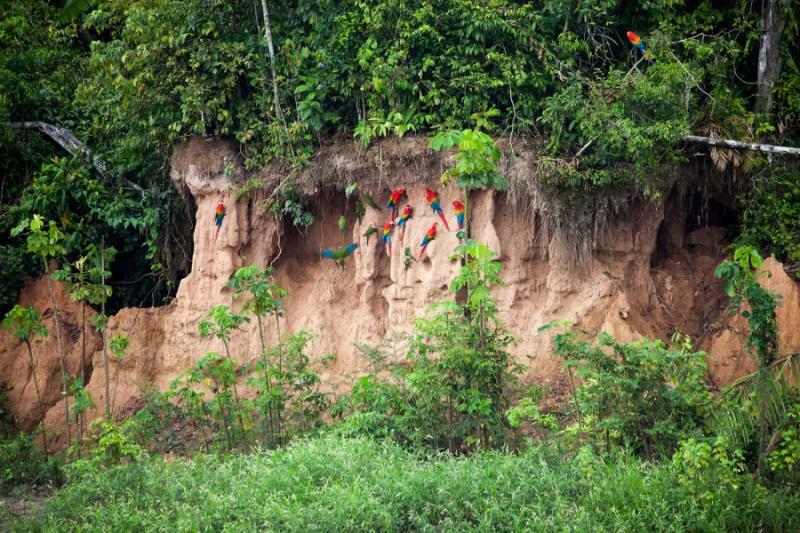 The river erodes the bank, revealing the clay on which macaws, amazons, parakeets, parrotlets, and other types of birds feed to extract additional nutrients from the soil. You stand and watch from a safe distance as the parrots land on the nearby trees searching for predators. They swoop down from the branches and form slow circles over the clay lick before landing on the protruding rocks. The red-and-green macaw embodies the image of a tropical bird of the rainforest. Their bright scarlet plumage stands out from the tan soil, and the green and blue feathers create a swirl of colors as they nibble on the clay. When the flocks finish gnawing at the slope, an eruption of exotic hues fills the sky, accompanied by thunderous squawks and chirps. In the morning, you wake to the sounds of the city without the calls of macaws and howler monkeys. Puerto Maldonado is the capital of the southern jungle region and has blossomed since the recent construction of the roadway connecting the city to the outside world. Three-wheeled rickshaw taxis buzz through the streets, and the relaxed ambiance envelopes the main plaza and elegant facades harkening back to the days of the rubber and logging boom. The Obelisco Tower shines a cosmic blue and rises nearly 100 feet above the plaza, offering visitors a glimpse of the nearby jungle and corrugated-metal roofs that adorn the streets. After breakfast, your private transfer greets you in the hotel lobby and escorts you to Padre Aldamiz International Airport where you fly to Cusco and connect to your flight home. "This travel company was very easy to work with."